CCTV recently released 80 batches of air purifier products by the National Quality Supervision Bureau, which includes Prominent, Walter, IQ and other well-known brand air purifiers for professional testing. The results of spot checks showed that air purification is currently highly concerned. The overall quality of the products was not optimistic: 23 of the 80 batches of samples were unqualified and the failure rate was as high as 28.7%. 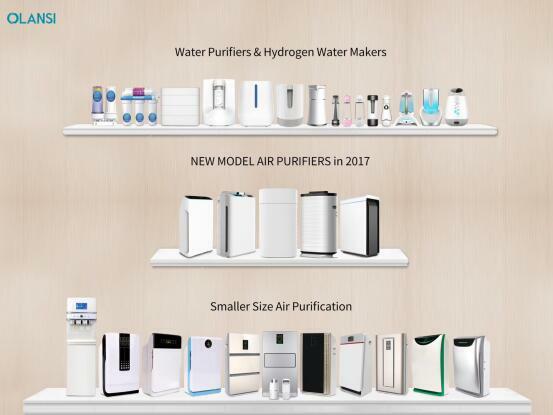 According to the latest national standard for air purifiers in 2016, the CADR values of PM2.5 particulate matter in the purification chamber and the formaldehyde CADR value of formaldehyde, which is the main harmful gas in the purification room, were tested in terms of performance of the air purifier. Great, Odeo, Malata The air purifiers produced by 23 unqualified companies such as IQGREEN, Mitsubishi, etc. mainly have parametric imaginary signs, fan performance is not up to standard, and filter material does not meet three important aspects such as electrical appliance safety, service performance and electromagnetic compatibility, and has to cause consumption. People value it. How to choose a truly suitable home air purifier? According to the latest national standard in 2016, we summarize the four aspects of the air purifier performance: high CADR value, high energy efficiency, high CCM value, and low noise. First: look at your own use of the area, if it is about 20 square bedrooms recommend that you use the CADR value of 400 or so, about 45 square of the living room recommended the use of CADR value of about 650, 100 square meters of whole house purification recommended CADR value of 900 The above air purifier. Second: Look at your own use needs, if it is specifically targeted to remove odors, formaldehyde, TVOC and other harmful gases recommended use of formaldehyde The higher the CADR value of the air purifier, the better. The use of efficient nanomolecular sieves in addition to aldehyde compounding technology to effectively remove harmful gases in indoor decoration is a prerequisite for ensuring a healthy life. Third: For the comfort of product experience, here is mainly product intelligent design, mute experience, the core of the two hardware is the fan and negative ion generator, the fan the better the noise is lower, the negative ion generator does not produce ozone to have good Product Experience. The air purifier market is becoming more and more standardized, and the relevant departments for the supervision of product quality have spared no effort. Olansi is the head of the air purifier. 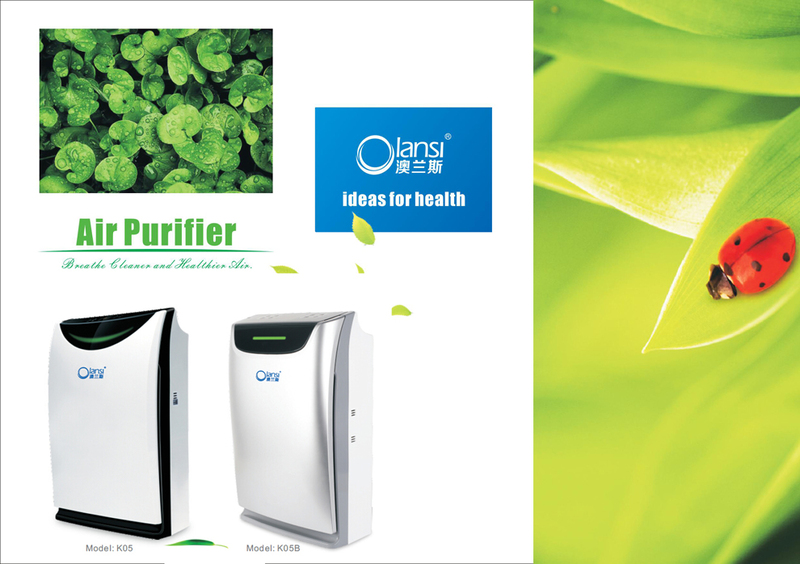 Olansi Healthcare Co., Ltd(Guangzhou Olans Water Treatment Equipments Co. Ltd) is a professiona desktop air purifier manufacturer producing negative ion air purifier,active carbon air purifier,hepa air purifier,antibacterial air purifier and so on. Today Olansi people will tech you how to buy a good air purifier. The best top 10 quiet air purifier buying guide is important for you. Shopping for the right air purifier can be confusing and frustrating. Some air purifiers on the market today actually pollute the air with harmful levels of ozone, a powerful lung irritant that can be especially dangerous to asthma sufferers. Learn about air purifiers and find a safe, effective unit that’s right for your needs with this air purifier buying guide. Different air purifiers target different pollutants, so it’s important to identify the pollutants you want to eliminate from your home before you buy an air purifier. Airborne Particles include pet allergen, dust mite allergen, pollen, plant spores, fungi, mold, and tobacco smoke, and they are the most common cause of indoor allergy and asthma attacks. A HEPA air purifier is the best method of eliminating airborne allergens. Household Odors and Gases include cooking odors, kitty litter, tobacco smoke, various toxins, and gaseous pollutants like indoor pesticides or aerosols. Activated carbon filters are ideal for adsorbing gases and odors that are too small to be trapped by a HEPA filter. “Adsorb” is not a typo; “adsorption” occurs when materials attach through a chemical reaction. Volatile Organic Compounds (VOCs) are found in a wide variety of common household products: paints, varnishes, cleaning supplies, disinfectants, glues and adhesives, and even new carpet and building supplies. Look for ingredients like benzene, chloride, formaldehyde, ethylene, and toluene. VOCs can cause the following symptoms: irritation of the eyes, nose, and throat, headaches, nausea, and even severe chronic health conditions such as damage to the nervous system. The presence of VOCs can also exacerbate asthma. Microorganisms include antigens, pathogens, bacteria, and viruses. They’re the everyday germs that make us sick. Mold is also considered a microorganism. 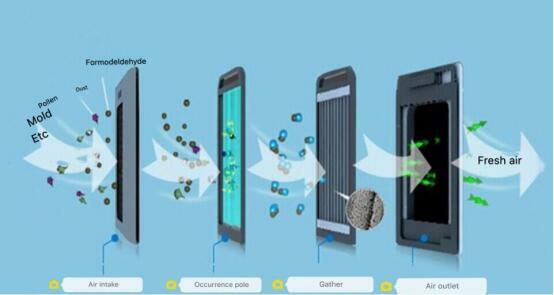 Different air purifier filters target different types of air pollution. HEPA air purifiers are the most popular, and they’re perfect for eliminating household allergens such as dust, animal dander, and pollen, but they’re not very good at capturing ultra-fine particles like viruses or eliminating foul odors or chemical fumes. HEPA (High Efficiency Particulate Air) Filters set the standard for air purification. By definition, a HEPA filter removes at least 99.97% of all particles as small as 0.3 microns. HEPA air purifiers were originally developed by the Atomic Energy Commission to capture radioactive dust particles. HEPA filters allow only very small particles to pass through them. Allergens such as pollen, animal dander, mold spores, and dust get trapped in the filter. The main disadvantage of the HEPA air purifier is that you have to periodically change the filter. The main advantage: If it’s HEPA certified, then you know it works well. Not all HEPA filters are created equal. Size matters: the more square feet of HEPA filter, the more particulates it will be able to remove. The size, material, and construction of the actual filter media all play a role in the air purifier’s performance and may account for why one HEPA filter is more expensive than another. Ion Generators and Ozone Generators create charged particles (ions) and emit them into the surrounding air. These ions combine with impurities (like dust) in the air, forcing the impurities to cling to a nearby surface. Consequently, ion generators often produce dirty spots on nearby walls and floors because they do not eliminate impurities; ion generators simply force impurities to cling to a surface (in the same way that static electricity can make a sock cling to a shirt). Ion generators are the second most popular type of air purifiers, but they both emit ozone, a powerful lung irritant that is especially dangerous for people with asthma and other chronic lung diseases, children, and the elderly. Electrostatic Precipitators work on the same principle of electricity as ion generators and ozone generators, but electrostatic precipitators capture impurities rather than simply forcing them to cling to an external surface. Electrostatic precipitators, such as the Friedrich C90B Electrostatic Air Purifier, use electronic cells to charge particles within the purifier and immediately trap the impurities on collector plates. The main advantage with this type of air purifier is that the collector plates never have to be replaced; they can be easily washed in the dishwasher. Be aware that some electrostatic precipitators also generate ozone. Charged Media Filters work the same way as electrostatic precipitators, but they collect particles on fiber filters instead of plates. The advantage of these filters is that they are able to collect very small particles, sometimes as small as 0.1 microns, through a combination of a filter and an electrostatic charge. The disadvantage is that, like the electrostatic precipitator filters, charged media filters lose their efficiency fairly quickly, and they can require more frequent filter replacements compared to a HEPA air purifier. These types of units can produce ozone, but the better ones on the market do not. If you are going to purchase this type of air purifier, make sure that it does not produce ozone. The best air purifier in this category is the Blueair air purifier. Activated Carbon Filters are rarely used alone to purify the air, but they are often used in conjunction with other filters. Activated carbon and charcoal filters excel at adsorbing odors and gases and neutralizing smoke, chemicals, and fumes. “Adsorb” is not a typo; “adsorption” occurs when materials attach through chemical attraction. Activated carbon has been treated with oxygen, opening up millions of pores in the carbon. There are so many of these tiny pores that one pound of activated carbon has a surface area of 60 to 150 acres. This huge surface area makes it ideal for adsorbing gases and odors. These chemicals and gases are too small to be trapped by a HEPA filter, but they bond to the enormous surface area in the activated carbon. The bigger the carbon filter, the more chemicals it will be able to absorb and the longer it will keep on working. When it’s full, it can’t adsorb any more and has to be replaced. Impregnated carbon filters contain an additional chemical (a “chemisorbent”) to eliminate certain chemicals like VOCs. Antibacterial and Germicidal Filters eliminate bacteria and germs. The IQAir Clean Room H13 HEPA Air Purifier, for example, utilizes a HEPA filter treated with agents to kill airborne microorganisms. Other air purifiers, like the AllerAir 4000 EXEC UV Air Purifier, use a UV lamp to kill germs. As antigens and pathogens pass over the lamp, it emits ultraviolet waves which alter their DNA, making them sterile and harmless. Air purifiers with UV filters are often used in sterile environments such as hospitals, kitchens, daycares, and labs. In residential use, they are great for controlling mold. If you are someone who gets sick often, an air purifier with a germicidal filter may be just what you need to give your immune system that extra boost. Pre-Filters remove large particles prior to primary filtration and come with nearly all air purifiers. Area Coverage – Make sure the square footage listed for the air purifier is about the same or slightly greater than the square footage of the room where you intend to use it. Air Changes Per Hour (ACH) – This number, also known as the ACH rating, tells us how frequently the air purifier can exchange all the air in a given room. For example, if the purifier has a ACH rating of 6 for a 20′ x 20′ room, then it is capable of exchanging all of the air in that room 6 times every hour. If you have allergies or asthma, you want an ACH rating of at least 4 and preferably 6 or 8. Clean Air Delivery Rate (CADR) – The CADR, calculated by AHAM (The Association of Home Appliance Manufacturers), tells us not only how much air is purified, but also how well it is purified. Air purifiers that have been tested by AHAM should have the AHAM Certified seal and CADR numbers for three pollutants: tobacco smoke, pollen, and dust. The higher the CADR rating, the more effective the air purifier is against that pollutant. CADR ratings are calculated impartially and recognized by the Environmental Protection Agency and American Lung Association. Price – Air purifiers range from affordable $100 air purifiers for small spaces to fully loaded $1,000+ air purifiers for large rooms. Filter Replacements – If you’re buying a HEPA filter, don’t forget to check and see how much replacement filters will cost. If your unit includes both a HEPA filter and a carbon filter or other combination filtration media, they will probably need to be replaced separately, and may last for different periods of time. This can be a hassle, particularly if they are difficult to access. Noise Level – Some air purifiers, such as the Blueair units, are extremely quiet, while others can be quite loud when operating at high power. If possible, ask for a demonstration before you buy your air purifier. Energy Usage – Like all appliances, different air purifiers use different amounts of energy for operation. Unlike most appliances, air purifiers run continuously, so you’ll want to consider your utility bill before buying an air purifier. If only volts and amps are listed, simply multiply the two: volts x amps = watts. Typical mechanical air filters can use anywhere from 50 watts on low to 200 watts on high. (For comparison sake, a typical lamp uses about 60 watts, while a typical computer uses about 365 watts). Air Pollution – Some air purifiers pollute the air with ozone, a powerful lung irritant that is especially dangerous for asthmatics, children, and the elderly. Extra Features – These are the bells and whistles. They can make your air purifier a lot easier to use. On the other hand, they can also significantly up the price on an air purifier that isn’t really all that much better than the next one. You simply have to decide which features will make your life easier and which ones just aren’t worth the extra cash. For example, a filter change indicator light lets you know when to change the filter, and handles or casters are important if you plan on moving your air purifier around a lot. Manufacturer’s Reputation – A manufacturer’s reputation and the experiences of past customers deserve consideration in your decision. Certain manufacturers and products are highly respected in the industry for a reason – and the same goes for products which have garnered less respect. Check out customer reviews to get a sense of the reputation. Warranty – A five-year warranty is a good one. A ten-year warranty is even better! Take into account what the warranty covers – motor, fan, electrical components? Also, find out if certain customer actions will void the warranty. Some manufacturers will void the warranty if the customer does not purchase replacement filters over the recommended time period; this can be inconvenient if you plan to run your air purifier less often or if the air in your home is cleaner than average. Well,according to above content,you should know clearly about the air purifier buying guide for your family. 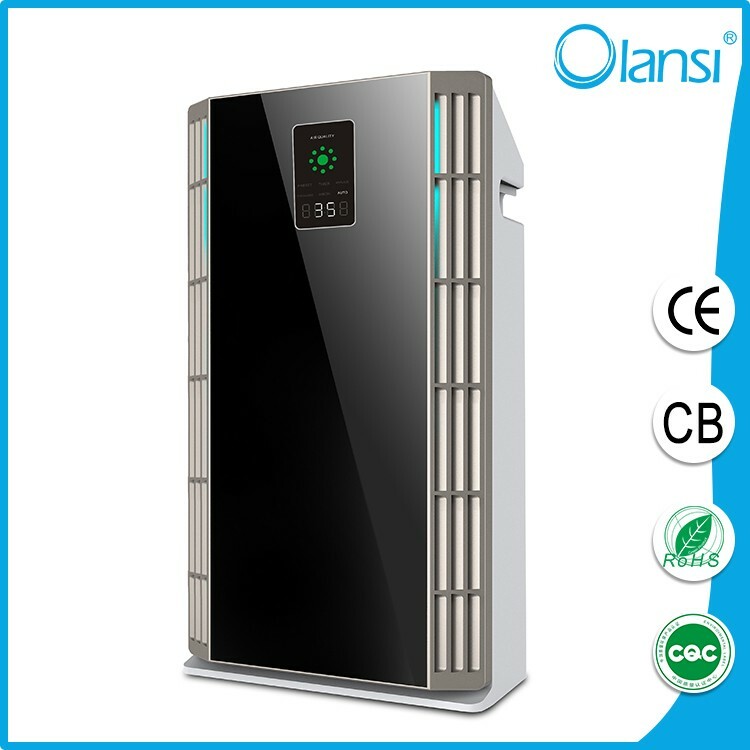 Guangzhou Olansi Healthcare is a professional home, room, portable, desktop air purifier, hydrogen water bottle, machine, water maker manufacturer from China. 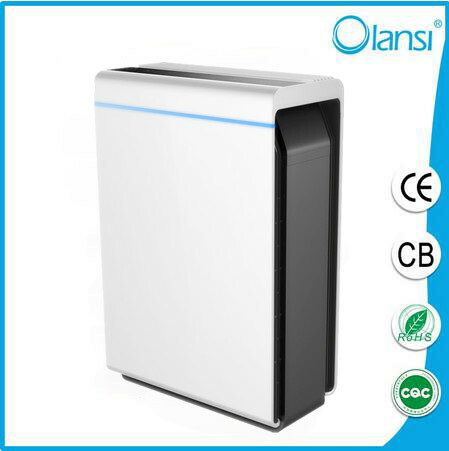 Olansi is one of the top 10 best selling air purifier in china.An air purifier or air cleaner is a device which removes contaminants from the air in a room. These devices are commonly marketed as being beneficial to allergy sufferers and asthmatics, and at reducing or eliminating second-hand tobacco smoke. The commercially graded air purifiers are manufactured as either small stand-alone units or larger units that can be affixed to an air handler unit (AHU) or to an HVAC unit found in the medical, industrial, and commercial industries. Air purifiers may also be used in industry to remove impurities such as CO2 from air before processing. Pressure swing adsorbers or other adsorption techniques are typically used for this. But how to choose a suitable air purifier for the winter? 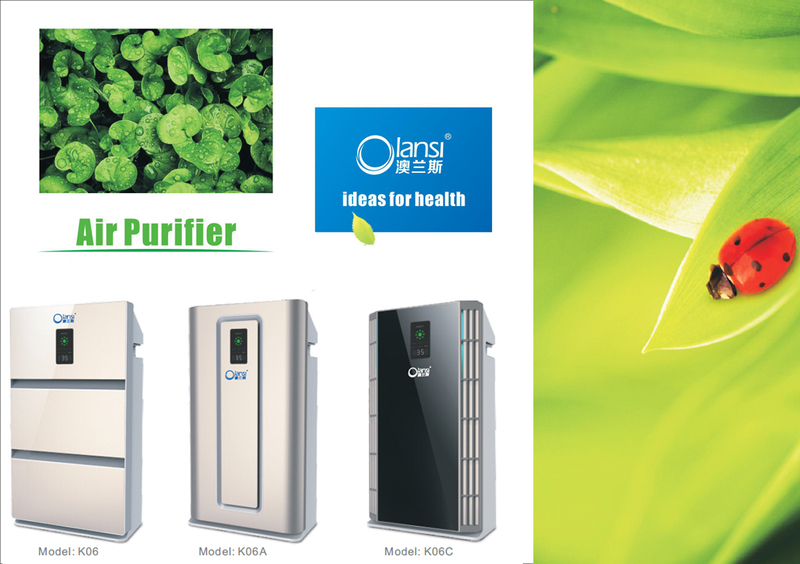 Olansi people have the best air purifier buying guide to tell you how to choose the best air purifier for dust removal. The best air purifier for dust on the market utilizes HEPA (High Efficiency Particulate Air) filters. Effective HEPA filters can remove up to 99.97% of airborne particles, helping you effectively control and reduce dust inside your home. Used fabric softener.